Yesterday one of my friends showed a painting she did of flowers in a vase. It was so gorgeous that it inspired my choice of subjects to paint today. My garden is between flowers right now but I did have a few geraniums and an iris to gather onto my desk. This is a gouache and pastel sketch in a 12 X 12 inch Derwent sketchbook. 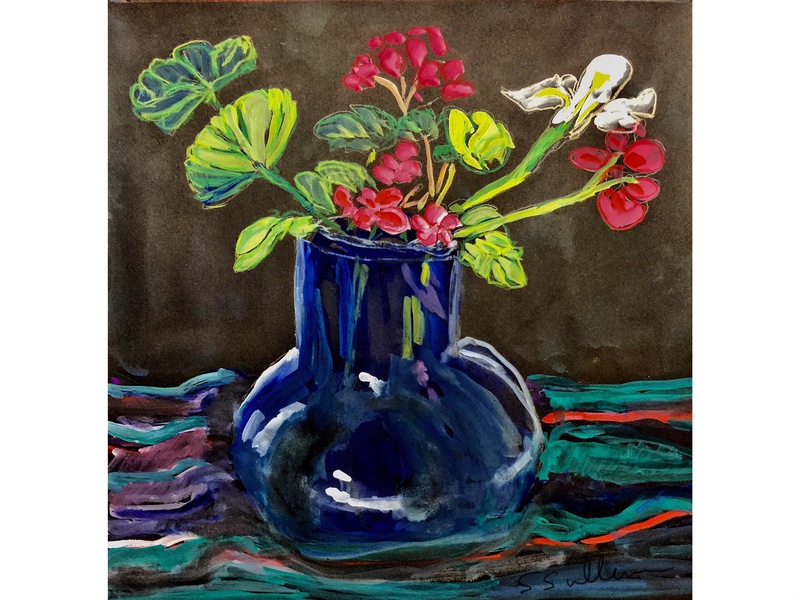 This entry was posted in Uncategorized and tagged Color, Flowers, Geraniums, Gouache, Pastel. Bookmark the permalink.